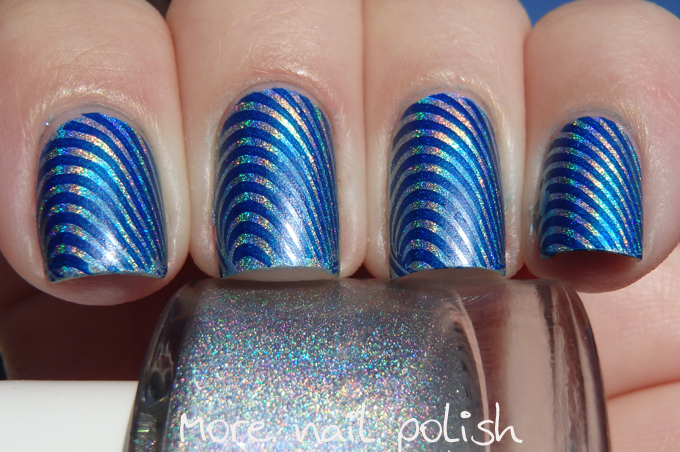 I loved the previous mani I did with FNUG holo with stamping so much, that I grabbed out another one. 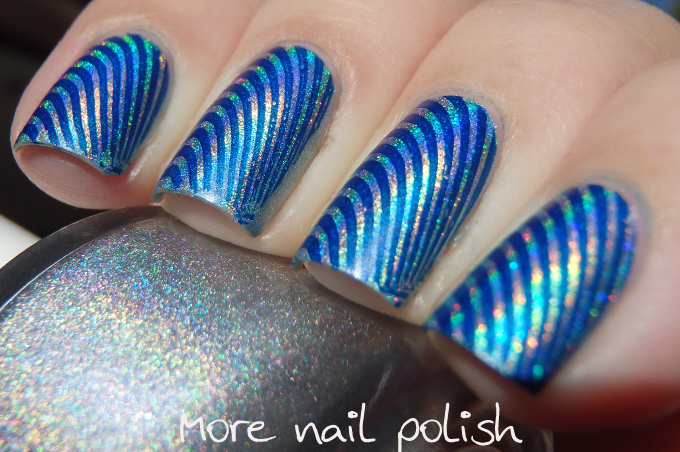 This time I grabbed Futuristica, which is the pale blue toned holo. I stamped over it using Cult Nails Time Traveler, which is a highly pigmented navy blue creme. The stamping image is from the same plate as my previous design - JR-8, which I purchased from My Online Shop on Etsy. 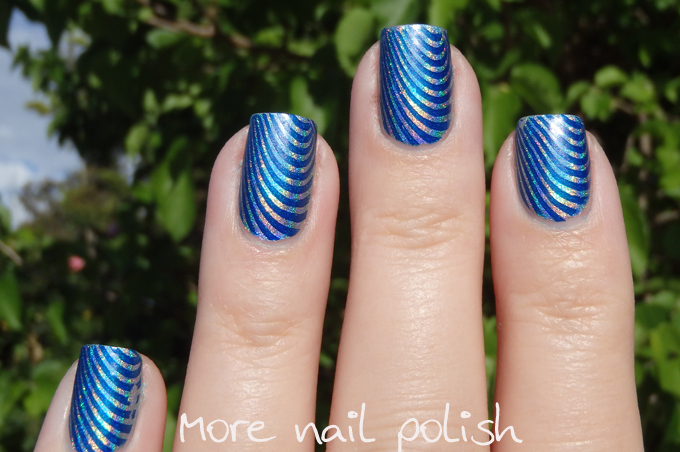 I really pleased with my stamping placement for this mani *pats self on back* and love the final look. 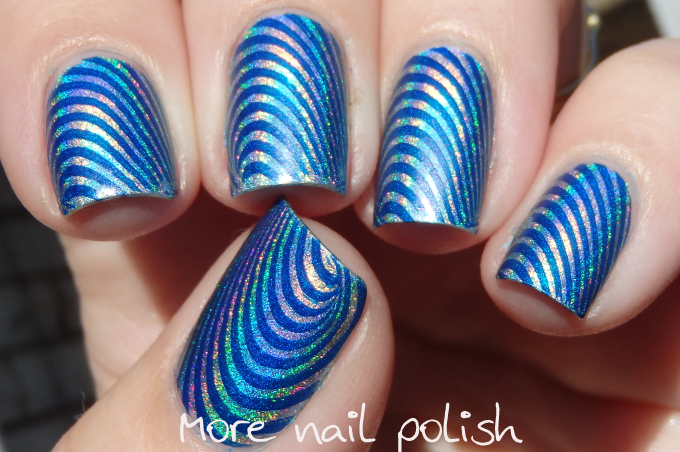 I just want to say that I find this manicure : wonderful! I love it!!!! Really nice!! !